Frequently requested maps in PDF format which include boundaries of planning areas, municipalities, watersheds and more. SWMPC GIS ONLINE is a gallery of online maps. Featured are a collection of maps highlighting Transportation elements, unique Natural Resources in Southwest Michigan, Wetland Functions in the Galien River Watershed and more. 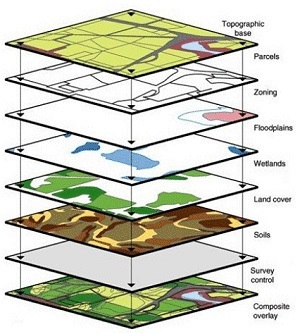 Geographic Information Systems (GIS) are used to create mapping products and to perform analysis in support of our work at SWMPC. We also provide GIS mapping services to other organizations in Southwest Michigan. Interested in custom maps or data analysis? please contact Jill Plescher, GIS Specialist. This page last updated on 3/12/2019.